Researches sequenced the genomes of these ten columbines from the roughly 70 different species in the genus. These plants span the genus' geographic distribution, ecology, and morphology. They also sequenced the false columbine pictured in the middle of this image. Columbines’ vivid colors and iconic spurs make them a welcome sight in gardens and mountain meadows across the northern hemisphere. For decades the pretty flowers have also served as an ideal model group for studying evolution and ecology. Their diverse flower shapes evolved in response to different pollinators, and their ability to hybridize lends itself toward genetic experiments. An international team of researchers, led by UC Santa Barbara biologist Scott Hodges, a professor and vice chair in the Department of Ecology, Evolution and Marine Biology (EEMB), has sequenced the genome of several species of columbine, and one species of the related false columbine. The first account appears in the journal eLife. The venture confirmed several hypotheses about columbines, but also produced a surprise in the form of a truly bizarre chromosome. Columbines split from their sister group, the false columbines, when they developed petal spurs around 7 million years ago — relatively recently in evolutionary terms. Different species have adapted to different pollinators by altering the shape and color of their spurs, and thus the columbine genus has become fairly diverse, counting roughly 70 species to date. “Because this huge amount of diversity developed in a relatively short amount of time, it allows us to investigate the types of genetic changes that happen when organisms become new species,” said UC Santa Barbara’s Evangeline Ballerini, an evolutionary geneticist and EEMB research associate, and one of the study’s coauthors. Despite their morphological diversity, columbine species are remarkably similar genetically. This suggests they evolved quickly and have a history of interbreeding. Usually this would drive the species toward recombining, but different columbines still retain their characteristic distinctions. Hodges suspects that the differences in the flowers’ spurs reinforce the species distinctions. If one species has flowers optimized for hummingbirds and another is adapted for bees, they don’t form hybrids in nature because the pollinators don’t go between them, he explained. A major goal of Hodges’s lab is to identify the genomic differences responsible for these changes associated with different pollinators. These studies will be far more reliable now that researchers have assembled a reference genome for columbines. Sequencing a genome is more like putting together a puzzle than reading a book. The sequencing process requires breaking up DNA into lots of little bits whose order gets mixed up. Like any puzzle, putting these bits back together in the right order can prove challenging without a reference. The standard practice to construct a reference genome is to sequence a single individual very thoroughly, in this case a cultivar of Colorado’s state flower. Using a number of additional experiments and techniques, scientists can painstakingly determine the order in which these fragments belong. Once this reference sequence order is established, it can function like the picture on a puzzle box, making it much easier to put together additional puzzles, even if some of the pieces have slightly different images than the original. As the many species of columbine are genetically so similar, this one reference can be used for many closely related species. After the reference was assembled, the researchers sequenced 10 additional columbine species from across the northern hemisphere to begin exploring how and where their genomes differed from one another. Hodges’ team is now working on creating a false columbine reference genome. This should enable a more accurate reconstruction for the three species in that genus, two of which were only discovered in 2017. The researchers were most surprised by the results they obtained from the columbines’ fourth chromosome. Chromosome four has a far higher proportion of shared polymorphisms — genes with multiple variants — among columbine species than any of the groups’ other chromosomes, Hodges said. It also has fewer genes, which are generally expressed at lower levels. What’s more, many of these genes likely have problems which make them inefficient or ineffective. “Many of the genes on chromosome four just don’t seem to work very well,” commented Hodges. Researchers had never seen these patterns across a single chromosome, he added. The fourth chromosome of the false columbine in this study also showed some of the peculiarities found in columbines, so this pattern likely occurred before the split. “Understanding how many related taxa have this pattern will help us determine when it arose,” said Hodges. “Then we could start determining what other genomic changes accompanied its origin.” In that light, the team’s current effort to sequence the genomes of the false columbines should help them make sense of this odd chromosome. Hodges’s team has continued to construct the genomes of other columbines in addition to their new work on false columbines. This information will enable scientists to more directly investigate the genetics and evolution of this group of plants. 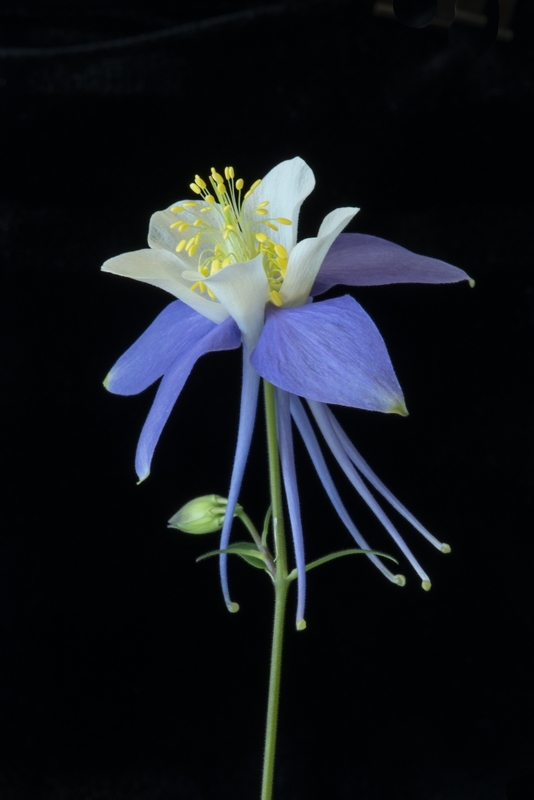 In particular, Ballerini plans to explore the genetic changes that allowed the development of the columbines’ complex tubular flower petals from the flat petals of their ancestors.